It’s the middle of June. Your “slightly” overdramatic eight year-old son is requesting your presence at yet another presentation of his one-man show, complete with special effects by your two year-old daughter, her bowl of spaghetti and your dining room wall. You think to yourself, “This kid needs something to do,” as you scrub away the remnants of last night’s marinara sauce. Never fear. The Omaha Community Playhouse features a wide array of summer camp opportunities for youth ages 4-18 with focuses on acting, dance, improv and technical theatre. We are here to help. These camps are a fun way to help children learn to use imagination, create a character and work with classmates to tell a story. The students will share their experience with an invited audience on the final day. Students interested in musical theatre will work with professional directors, music directors and choreographers during this very popular summer camp. 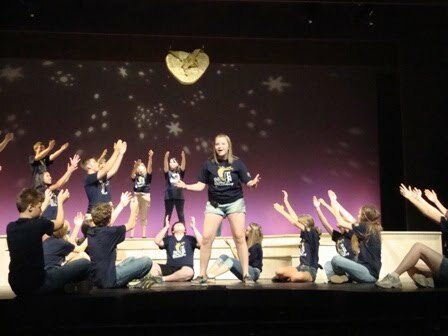 They will spend their days at the Playhouse working on an original musical written especially for this camp, and perform it at the end of camp in the Howard and Rhonda Hawks Mainstage Theatre for a large audience of friends and family. Students will choose one of four backstage areas: costumes, props, set design/construction or sound/lighting. They will work alongside the Playhouse technical staff to create costumes, props and sets and design the sound/lighting for the 2011 First Stage Summer Theatre Academy production. Students will learn how to develop scenes and create characters within seconds using the basic tools of improv: focus, teamwork and miming. There will be a final showcase on the last day of camp. During this week long “strictly dance” performance camp, students will learn two musical theatre dance pieces and perform them at the end of the week in the Howard and Rhonda Hawks Mainstage Theatre. If any of these camps sound like the perfect outlet for your budding star, visit the Playhouse Education page by clicking here, or call the Director of Education at (402) 553-4890, ext. 131. With our help, you can survive Summer Vacation 2011. Your dining room walls will thank you. The OCP apprentices got to take a backstage look at Cirque du Soleil's Dralion at the Mid America Center earlier this week. The Cirque du Soleil professionals then came to OCP on Thursday for a question and answer session with the staff and apprentices. Just a few of the perks of being and OCP apprentice! Some of life’s greatest lessons arrive in the most unusual forms, occasionally even on stage. In the Omaha Community Playhouse’s production of Tuesdays with Morrie, what once was a relationship between student and teacher becomes a life-changing friendship as the dying professor imparts profound wisdom on his former student. 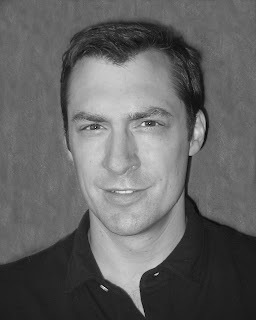 Chris Shonka, an Omaha native, plays the role of Mitch Albom, a successful sports journalist and Morrie’s former student. Though he has lived in New York, Boulder and Houston, Shonka has returned to Omaha theatre, and he is no stranger to the discipline. Shonka has acted in various roles since high school, including the 1993 OCP show A Few Good Men. He has also received an M.F.A. in acting and a Ph.D. in theatre history. One of Chris’s most recent accomplishments was co-directing a production of The Good Doctor at Creighton University with two guest alumni directors and Bill Hutson, the actor who plays Morrie Schwartz. In the show, Morrie is Mitch’s former sociology professor affected by ALS (also referred to as Lou Gehrig’s Disease). A life-long actor, Hutson first graced the OCP stage in Richard III in 1974 and Shakespeare in Hollywood in 2008. When he is not at OCP, Hutson performs in and directs other shows, travels, reads and inspires students like Shonka through his teaching. When asked about the source(s) of his inspiration, he credits professors both at the University of North Texas and Michigan State but, “In Omaha, I’ll always think of Nancy Duncan as one of the most inspirational people/directors I’ve known. She was my first director at the Playhouse.” These two are inseparable, it seems…from student and teacher to co-directors and cast mates. “I have had a terrific time in rehearsals watching him create this character…”, remarks Shonka. Come cherish the inspiring story of Tuesdays with Morrie in the Howard Drew Theatre, April 29–May 29, Thursday–Saturday at 7:30 p.m. and Sunday at 2 p.m. Tickets are $35 for adults and $21 for students. For groups of 15 or more, adult tickets are $23 and student tickets are $15. To purchase tickets or for more information, call (402) 553-0800, visit the Box Office or click here.